Many of us compete in our daily lives. Some people strive for attention, some for a promotion, and many for the best parking spot at the grocery store. But the subject of today’s blog is based on formal competitions. Situations when we actually enter a contest to be ranked or judged for a prize. For most people the experience lies in being a competitor, either by challenging a timed event or exceeding the formalized standards of a professional judge. My children spend their summer days exercising, grooming, and caring for their livestock with the primary goal of, in one person’s opinion, be chosen a winner. Although I have had my fair shares of prize winning moments, today’s blog will focus on the other side of the coin. The art of competition begins with the creator or originator. And after a number of years of coordinating everything from llama shows to olive oil judging there are simply five keys to success. Having perfect knowledge or being an expert of the subject matter is not near as important as knowing how a competition works. Failure exists when the originator of the contest doesn’t properly plan and prepare. Preparation on the front end sets the stage for triumphant outcome. Over the years it always amuses me when I talk about my jobs in the event or competition arena. One of the most common questions is, “What do you do the rest of the year?” Trust me it takes many months, sometimes years to develop the fabulous five minutes of fame created for a competition. The single most important element is organization. One must be able to develop a timeline, organize the entries, prepare them for judging, and facilitate the outcome. Lack of structure will haunt you through the judging process. As participation increases so must your desire to establish order and simplicity. Those who loose site of organization will have the ghosts of the disappointed exhibitors howling the hallways for months following the event. I sat in as a guest judge during a flight. My ability to judge wine ranks right up there with my knack to play golf. Neither of them do I keep score, I just focus on my highlights! As I noted in the first key to success, you don’t have to be an expert in the field, but you must hire an expert to judge the contest. Sometimes it may require having an expert on staff to facilitate questions during judging. 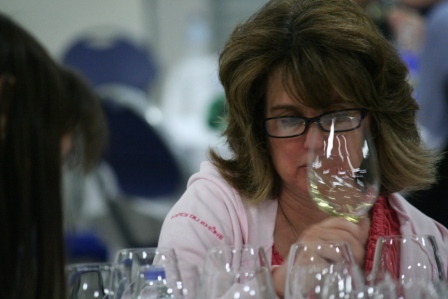 For example for the Central Coast Wine Competition we hire a Chief Judge. He does not judge, but insure that all wines are entered in proper class; wines are presented properly to the judges and resolve any issues the panel may experience. However, lacking a professional judge can cause a fiasco and outrage that could severely damage or cripple your event. If you are unsure of who is qualified, seek out other similar type events and ask for recommendations. A few hours searching the internet will pay off in the long run. The last two points go hand in hand. Not only is it extremely important to properly award the contestants, but to recognize them publicly. There is no greater disappointment than to be recognized a winner, then due to a clerical error have the award recalled. Proof, proof and double proof your result. Then share the good news with the world. In today’s world of social media it should take less than a spilt second to alert your followers of the results. Not only will you excite your participants, but provide you an opportunity to thank your sponsors and the key people that made the show a success. So why did I choose this topic. Well after many hours working competitions it has come to my attention that seldom does one realize what goes into the creation of the contest. It is emotionally, mentally and sometimes physically exhausting to compete for an award. But stop and think of the people who put on the competition; I can guarantee that they have also had their roller coaster of emotions, thoughts and work. And what ever amount of time you spent preparing to compete they have spent double, maybe even triple the hours preparing. So the next time you are in the contest ring, take a moment and thank the help, appreciate the award (no matter how big or small) and just remember someone put their heart and soul into creating the competition.